How I reached the point in writing my fifth novel: Stormy Winds! How Would you like to be a character in fifth novel: Stormy Winds? DENNIS DEROSE: INTERVIEW WITH AN EDITOR EXTRAORDINAIRE! The Julius J.E. Thompson Trilogy! Philly Style and Philly Profile is being turned into a movie and the Ebook is selling at a discount! People love their pets and I am one of those crazy animal lovers. On this October Tuesday, the day dawned cloudy, with a cool mist washing my face. The moisture mixed in with the tears forming as I reached down and gently picked up Spice, a Lapso Apso mix-breed small dog, from the bed and carried her to my car and laid her softly on the back seat. The growth mass on her back is increasing in size and is slowly draining blood and the life force from her body. This year, 2013, was the fifth since I adopted Spice from PAWS an excellent animal rescue shelter in the Atlanta area. Today was time to take Spice to the vet on Lawrenceville Highway in Snellville, Georgia. “Spice and Me” love to ride in the car, but this time she wasn’t poking her head out the window, but lying on the back seat with a blanket covering her body. Once at the animal hospital, the Vet carried Spice into the hospital-like room and, what seemed like eternity, she returned with a syringe filled with Spice’s blood drawn from the mass on her back. There was an awkward pause as she said the possibility the growth on Spice’s back was a malignant tumor. The blood work would confirm the doctor’s analysis. The Vet has excellent bed-side manners and delivers the news with respect, concern and love for “Spice and Me”. It could be three months or three years—in other words she will be in hospice care in our home until it comes time to make the “Decision”. That means to put her to sleep when she can no longer respond or life is zapped from her body. When I heard the word, I felt as if someone had punched me in my stomach. The dreaded “C” word sent chills up and down my back. I recently watched a television special on a cable station about how there is a rise in cancer in animals. Now, cancer was not only at my front door but in my home. I cried deep inside my soul for a relationship for “Spice and Me” that would last a long time. My sister, Rochelle, cried out loud. Until that dreaded “Decision” moment in time, we will fill Spice’s life with anything and everything she desires. This shocking moment frees us to love her, feed her as many treats and whatever she wants to eat or drink. Spice loves to ride in the car and look out the open car window with the wind blowing in her face. I will take her for special car rides and walks in the park. I may even sneak a trip to the McDonald’s drive through to get a hamburger for Spice (smile). Now, I enjoy her company as she sleeps on the bed, or lay next to me, on a blanket, as I write my novels on the computer. Spice has a personality that reminds me of the Divas from one of those reality cable television shows like House Wives of Atlanta. Sometimes she will give you an almost human look when you try to make her do something she doesn’t want to do at that particular moment. That look is priceless, almost as if she is thinking “Leave a message”. In other words, Spice will ignore you in her “Diva” way. I will not only enjoy these precious moments, but live the moments and not live in the past or live in an uncertain future. I will live and breathe this present moment in time that is filled with love and caring, and even a hope for Spice that she might recover. I pray everyday for her recovery. ` People, who are not pet lovers, don’t understand the bond that develops as you and your pet’s personality mesh. It is a special love. Now, each day is special. As I look into those big pretty eyes I see unconditional love. J. E. Thompson On…Philly Style and Philly Profile a social commentary on drugs and gangs! Gangs and Drugs: Two lethal destructive plagues that are attacking young African-American males in the black communities throughout the United States of America. My novel, Philly Style and Philly Profile, is set in the seventies but reflects how the destruction of young males in the black communities in the United States, continues even today…the twenty-first century! What was happening in inner-city Philadelphia in the seventies is still happening in twenty-first Century black urban America. In my novel, Philly Style and Philly Profile, I want to show what happens in the streets of Philadelphia in the seventies, is still alive and actively wiping out the vitality of our communities today. In my seventies novel, I want to show real flesh and blood young black males and humanize the cold statistics. The statistics are real young black males! For example, consider 2014, and look at Chicago and other black urban areas in America, where the destruction of young black males continues. 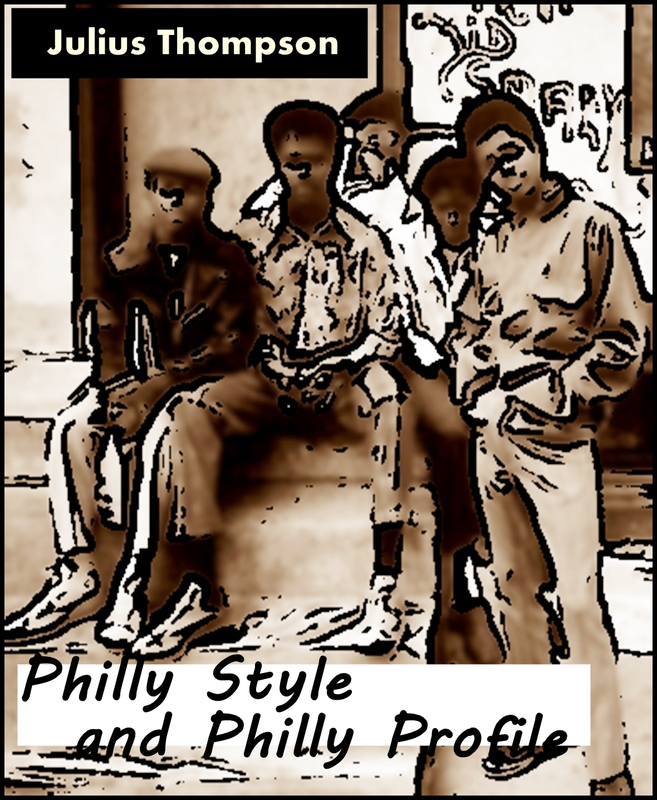 The novel, Philly Style and Philly Profile, is about young black males that make good choices, but also about young black males who make bad choices and that cause their destruction and devastation of others in the urban Philadelphia community of the seventies. In my trilogy, A Brownstone In Brooklyn, Philly Style and Philly profile and Ghost of Atlanta…this is MY Macbeth. I’m a great fan of William Shakespeare. This is my dark, brooding novel that is meant to upset and make people think. This is what I feel Shakespeare wanted to do when he composed the tragedy of Macbeth. I’ve included three book reviews that reflect the goals of the novel. These readers get the point I was making in this novel. After reading the blog and the reviews, I hope you purchase and read Philly Style and Philly Profile! Too often on the news we hear of African American males who have succumbed to violence and drugs. After a while, we do not care why, we just hope and pray that we are not caught in the crossfire. However, in Philly Style and Philly Profile Thompson does not let us ignore them, as society would like to. Moreover, he introduces the reader to some of these young men and their fears, hopes, desires, and beliefs. Even though the story takes place in the seventies, Philly Style and Philly Profile occur every night in America. Philly Style and Philly Style! This is another remarkable novel by Julius Thompson. In Philly Style and Philly Profile he takes the reader through the streets of the City of Brotherly Love and shows us, with engaging and touching down-to-earth prose, the good and evil, the hate and love in the lives of hostile and violent young people, some of whom are saved thanks to the constant help of dedicated community counselors. A troubled side of the great city of Philadelphia, portrayed vividly by a brilliant storyteller. BOOK 2 OF THE ANDY PILGRIM TRILOGY…THINGS IS DONE PHILLY STYLE! “Philly Style, Philly Profile” takes place in the 70’s.Andy, a black man, works for the Philly Bulletin. He is immediately confronted by one of the many problems that black men had to deal with then and now…RACISM. That`s just one central issue. Added, we find out that he is slated to cover high school sports and we are immediately introduced to 2 more very dangerous threats…DRUGS and GANGS. Andy gets caught up deeply in this mix when he befriends Carl, an up and coming basketball player who’s getting ready to go off to college in just a few days. I won’t spoil the story for you but I will say that it’s extremely fast paced and relevant for the times. Of course all cities big and small sadly still face these same issues. You will read this and, once you do, you’ll want to continue the saga in “Ghost of Atlanta”. I would be remiss if I did not take a moment and mention the fantastic editing in this super story. I read this, looking for mistakes and I found very few. My hats off to Julius’ editor, Moneysaver Editing. Keep writing Julius, great job. J.E. Thompson On…Passion, Organization and Uniquenss in your Writing! Successful twenty-first century authors have three lifestyle components: Passion, Organization, and Uniqueness. Passion:Successful authors love their craft! They delve into the storyline with abandon. They make time to write and know their most creative time of the day. This is different for each author. I know of a writer who sneaks out of bed at four a.m. and writes until six a.m. and then returns to bed and the warmth of their spouse. In the space between daily tasks writers will find a time to write. I’m a high school teacher and sometimes, in the six minutes between classes, I will have a pencil and pad in the hallway and in between yelling “Get to Class!” I write a few lines for an upcoming manuscript. Later, after the closing school bells sounds, I expand on the idea and thought and make it into something that is readable. You write when you can! The health of a writer’s soul must be nurtured and developed. Successful authors find the time to write and creating that “next” new and exciting scene in their novel. They write story lines. They write chapters. They outline. They jot down notes for the book. They are on schedule with dates of submissions and deadlines jostling their brain cells. Successful writers use technology. From pen and paper, Dictionary.com accounts, thesaurus, the smart authors have everything at arm’s length at their writing station. I’m an author who uses his android to keep a schedule of his writing. I have the chapters organized with one and two notes on what I want to accomplish in the writing of that particular chapter. ***One folder with all the chapters listed and the particular notes, setting and dialogue that fits that particular moment in the novel. I have another folder for the entire novel. When I finish a chapter in one folder, I copy/paste that chapter into the folder for the entire novel. As the chapters build, I can see the word count and get a flow for the storyline. These two folders give me the opportunity and freedom to work in one folder and keep a completed version in another folder. Folder One: Each individual chapter word document is listed 1-to 50 with all the incomplete chapters. Folder Two: he entire novel. As I complete a chapter, I add that chapter building the first draft. Uniqueness: Successful writers have their own voice, pacing, and storyline. They do not write in the trendy categories, popular genres or alter themes to suit the masses. Unique writers write how they feel and the story they want to tell. Despite our reasons for pulling the chair into a comfortable position in front of a computer and write, we measure success by finishing what we start! J.E. Thompson On…Do One Thing Everyday That Scares You! You Must Take Chances in life to reach your goals! I can’t believe I waited until the autumn years of my life to take on risky business! For the first time in my life, I stepped out with a video blog about writing confidence where I had to face the camera and express my feelings in public. That was an exhilarating experience. Oh, how we human being must meet and overcome new challenges. Now, I’ve developed an interactive website that is linked to SoundCloud, Podomatic and YouTube and other places where you can watch videos with funky music on my podcasts (developed my Donald Moody II), videos and audio readings of certain chapters of Philly Style and Philly Profile. Please click to listen to prologue and chapter 23. I was nervous with the Video Blog but I’m receiving and positive recognition on YouTube. Please click to watch the Video Blog!. Now, with this new 21st Century Website, with all the flash, colorful images and sounds, it’s enough to drive a person out of middle age. I feel this is the next step in the marketing of my books: A Brownstone in Brooklyn, Philly Style and Philly Profile, the National Award winning Ghost of Atlanta, Phantoms of Rockwood and Chasing The Wind While Riding a Greyhound!, my current book that is under construction. Please click to visit the my J.E.Thompson Books Website! You better believe I’m scared! However, that is what life is about: Growth and Change and Ultimate Success! Enjoy my new website 21st Century Website. Happy New Year from everyone here at Day-Timer and the ACCO family of brands. We wish you only the best times ahead and hope you find success through better organization and productivity in 2014. Ask Jeff: What Type of Planner Should I Use? Want more tips and tricks for a better 2014? At midnight the bells will ring in the New Year. This year has been good, but now it’s time to move forward with new resolutions and goals for 2014!